Zerus is a very dark looking person. He has pale, whiteish skin due to all of the time he spent studying He wears a long crimson clock, which is tattered at the end. He also wears a vest, though it isn't a Konoha Chunin/Jonin vest, rather just a tool vest. Eyes:Black, though in some light they appear red, or crimson. Personality:Zerus is talkative only in combat. In combat he always tries to talk with his team mates and slightly taunt his opponent, to gain tactical edges for both his team and to distract his opponent. Out of combat, he is kept to himself and observes life. He yearns to learn much of this world and practice many different techniques, and generally when he speaks he just tries to make a reply that won't require him to talk much more. He can be very dark and sinister at times as well. 50x Kunai Laced inside the top torso part of the Cloak and Vest. Requirements:Fuuninjutsu, 2 Style point Reduction, My Permission. Taken at character creation or getting Trained by someone who knows it. 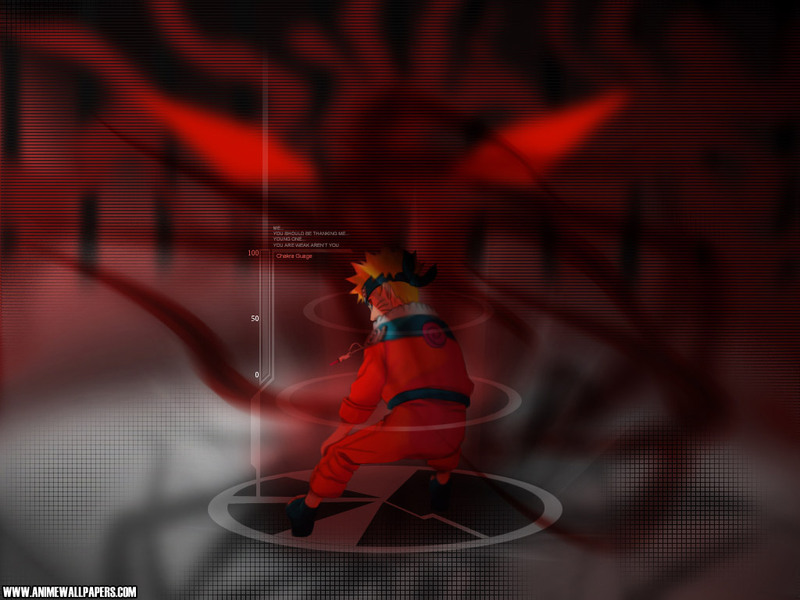 Description:Jikūkan Ninjutsu (Literally meaning "Space-time Technique") are techniques that allow the users to manipulate the space-time continuum. By manipulating a specific point of space, the user can warp anything targeted into a dimensional void, and teleport it to another location near instantaneously through the use of seals. Often seen in summoning technique, but in terms of Jikūkan, Jikūkan can make someone else travel so long as the necessary seals are in the given areas. More chakra is consumed if larger objects are teleported. This is often compared to the Body Flicker technique, though it does not increase speed, just rather teleport things at certain pace thanks to system of seals one would incorporate in the teleportation. The size of the seal can also affect what gets teleported and how much, but that only drains more of the chakra of the user. To use Jikūkan, the user must place one seal in a desired area, and one to send the user to the desired area. Since Jikūkan requires mastery of Fuuninjutsu, the user can place two way seals, so one can teleport back and forth with the same two seals. With the case of multiple seals, if the user adds a little more chakra into the Jikūkan, they can teleport to a desired location, rather then have Point A, B and C, want to go to B, but end up at C, or can use seperate seals with individual traits. However, if that is the case and one seal is destroyed, the other becomes useless until a new one with the same markings is made. A seal can be broken only if the surface its on is destroyed. To activate a seal, so long as it is in range with another, the seal creator must activate it with there chakra and their chakra only, and depending on rank, the seal can be activated quicker or slower. After a seal has been activated, it activates all of the seals with the same markings and formations for one use, and the more seals activated that share markings, the more chakra that's being used. The seals must as well be equivalent with either the length, width or height of whats being teleported, so unlike The flying thunder god technique which was derived from Jikūkan which can send a ninja far from the small seal on a kunai, the seal the must be proportionate to what its sending and receiving. You can only place seals on willing humans though, such as allies/yourself. It also powers up your Fuuninjutsu, so you can use fuuninjutsu as if you were one level higher. E Rank - Can teleport that of a human size 5 yards. Takes three seconds for the seal to activate. D Rank - Can teleport that of a human size 7 yards, couch size/two humans 5 yards. Takes 3 seconds for seal to activate for standard human size, 5 seconds for couch size. C Rank - Can teleport that of a human size 10 yards, two humans 7 yards, Takes 2.5 seconds for seal to activate for human size, 4.5 seconds for two humans. B Rank - Can teleport that of a human size 15 yards, two humans 10 yards, three humans 4 yards. Takes 2 seconds for seal to activate for human size, 3.5 seconds for two humans, 5 seconds for three humans. A Rank - Can teleport that of a human size 20 yards, two humans 12.5 yards, three humans 7 yards, four humans five yards. Takes 1.5 seconds for seal to activate for human size, 3 for two humans, 4 for three humans, 5.5 for four humans..
S Rank - Can teleport that of a human size 30 yards, two humans 17.5 yards, three humans 12.5 yards, four humans 10 yards, five humans 7.5 yards. It takes one second for the seal to activate for human size, 2.5 for two humans, 3 for three humans, 4 for four humans, 5 for five humans. Jikūkan Seal Placement - A technique in which the user applies chakra through bodily limbs, mainly the hands, to create seals for the Jikūkan technique on a desired surface. The bigger the seal created the more chakra it requires, though it doesn't require much. It more so requires chakra for activation, rather then creation. These seals are significant in size and appearance, compared to more common seals. There can be multiple Jikūkan seals on the battlefield at once, all that is required is that they are created. This technique is near instant, but it can change in terms of time if a big enough seal is made. Jikūkan Seal Release - A technique in which the creator of a Jikūkan seal uses to destroy their seal. This can be useful if they are moving to a new fighting area, for it gives them back some of the chakra they used for their seals and allows them to recreate some with the same markings. This can also be helpful if wanting to draw the remaining chakra of broken Jikūkan seal. The technique was developed so the seal placer could keep placing seals wherever the fight went. Zerus knew not much of his past, he only started remembering his life when he was age 5, in Konoha with this old man who claimed to be a relative of Zerus. This old man and Zerus trained a lot, and the old man taught much to Zerus until Zerus was age 7. At around this time, the old man was diagnosed with a terrible sickness. The was no cure, and he was guaranteed death. On his deathbed, the old man told some things to Zerus. He confessed he was not a distant relative, just a close family friend, but after Zerus' parents death, he took him in and raised him like he was his son. He also told Zerus his place of origin, and he informed him he and his parents were descendants of a small poor clan from Uzushiogakure. He mentioned just like his ancestors, his parents were powerful fuuninjutsu shinobi, and perhaps Zerus can pick up on this. 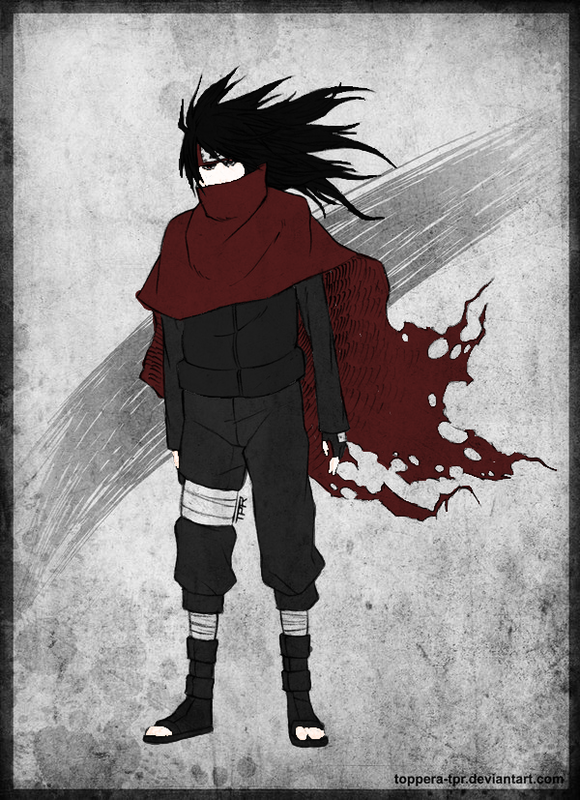 After graduating from the ninja academy at age 11, Zerus set out on a journey to perhaps find out about some his family history, and see if he himself can carry out as a Fuuninjutsu Shinobi. He was able to find the son of Zerus' former guardian and the son told Zerus about how once his father set out on a journey to some home in a small village, one of a good family friend. The son told Zerus of this villages location, and soon after, and being this was a possible lead Zerus was well on his way to find this village, and the only possible thing to link him to his past. Zerus eventually made it to this village and found it to be a very backwater village, in the far outskirts of the Land of Fire. However, many people here knew of his parents and knew of their death. Apparently when the village was raided one night, the two parents of Zerus gave their lives to save the village and their son. Most of the village was left in shambles after that night, which is also why is an eyesore now. Zerus asked if his parents house was still in good condition, which to his luck, it was. He went to it and found a lot of scrolls and books on his family history. He then found a weird looking seal while reading some scrolls. He investigated this seal and found it to be in many of the scrolls made by his dad. Apparently, it was a technique developed to teleport things, but Zerus wanted to take it a step further. He spent five years developing and testing a Fuuninjutsu technique known as Jikūkan Ninjutsu Seal Arts, which involved an intricate set of seals to teleport humans. After becoming skilled in this art, Zerus went back to Konoha and started training more in his Jikūkan arts, to become a more powerful shinobi and carry on his family's legacy. The ability was revoked, noticed something I was oblivious too. Screw it lad, I had a change of heart...Let him go, I'll approve this, we need to get these profiles out of this section anyway..let go!